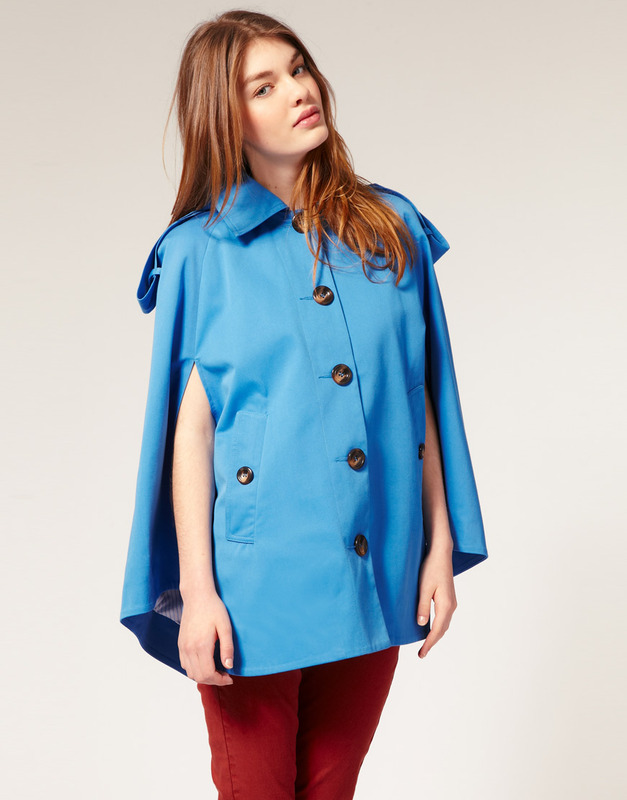 I was looking for a blue trench coat for a while over several on line shops but I can't seem to find any. Why is it so hard to find something you want, but when you don't need it, it's all over the place. I've only find this one at Asos. I really love the color but I it's a cape and I wanted a trench coat....with sleeves. If any of you find it anywhere in this color please, please let me know. :) I would much appreciate it. The sunny weekend is ahead, do you have any plans? I don't, except for lots of studying :/ Wish me luck. I wish you all one great weekend. Yes, i've got loads of studying like you as well! Good luck!